This makes me curious...what backgrounds are you guys planning on rocking on your Zune? 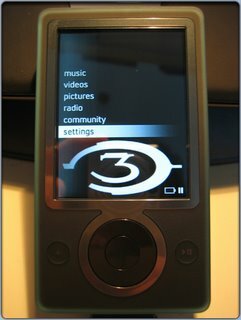 Well everyone, I think many of us drank a little too much of the Microsoft Kool-Aid on the Zune. We have to honestly step back and think about what it means...while many of us are very excited by the possibility of the iPod's demise (I actually love my iPod...but most of the Zune community doesn't seem to), we have to stop to think about what the Zune really is capable of accomplishing and what Microsoft has promised us. 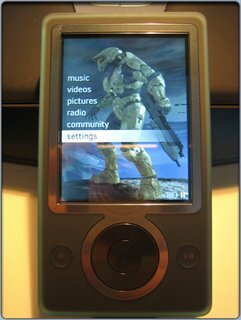 The Zune, win or loose will be a god-send for customers because Apple has gotten complacent with their market-leading iPod. Their innovation with the device has slowed to a trickle, they no longer even need to come out with new models, instead they just release a brighter screen and people get all giddy inside. 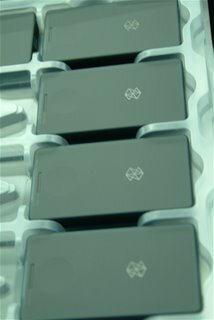 The Zune will change this, Apple now has a competitor with the muscle and determination to take them on.. But despite the benefits of competition in the market...the Zune, is JUST another electronics device. In the end it will serve many of the same purposes that our current devices do(play music). Many of us have fallen victim to Microsoft's very talented and highly paid PR/Marketing team, who have done their job very well. They have gotten people very riled up over their player, but we have to remember that the Zune will NOT do our laundry, mow the lawn, or take us out for a nice sea-food dinner...it will play music. The really exciting features like the social aspects and wireless communication among Zunes will really not be very much fun until the device is adopted by the Masses. This means that early adopters will not have as much fun as the guy who waits a year and buys bug-free version 2.0 with a larger hard drive and more features. He will have access to far more people to communicate Zune to Zune with and a much larger social scene than the many early adopters. Next, Microsoft has talked about how they want to help expose many smaller artists and change how we interact and discover music. At first this sounded great, bands get help, I get cool new music...win-win. But thinking realistically, how do they plan to implement this? Will this change the music industry? This either means one of two things, the first (which I would hope is true) is that Microsoft has done such a good job of helping these bands get exposure that it is seamless to the bands and they don't even need to be bothered by knowing much about the Zune, or the more realistic scenario which is that the bands don't really care, and when they got offered a chance to be on the Zune they said “sure...why not”. Attention all readers!!! If you can spare a moment, please go to the top corner and vote for us on the Zune ranking sites. It would be much appreciated. Thanx!